This Emergency First Aid at Work Level 3 Award (EFAW) course is a statutory qualification specifically designed for individuals who wish to act as an emergency first aider in their workplace. The content meets the criteria for staff that may be faced with life-threatening incidents where they have to manage the casualty for a short time until emergency services arrive or very minor incidents that will not require medical assistance. As a minimum, a low-risk workplace such as a small office should have a first-aid box and a person appointed to take charge of first-aid arrangements, such as calling the emergency services if necessary. 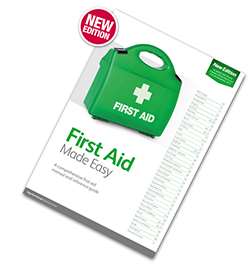 Employers must provide information about first-aid arrangements to their employees. We can deliver the 1 Day Emergency First Aid at Work course directly in your workplace, reducing your costs for staff travel and reducing time out of the business. The group cost to deliver this course for 6 – 10 delegates direct in your workplace is only £425.00 +Vat. Call Janine or Mark on 0151 515 0416 for further details on our 1 Day Emergency First Aid at Work ‘Open Courses’ or to secure your first aid course. The Cost for the ‘Open Course’ per delegate is only £70.00 +Vat. This training is highly practical, designed for your workplace and suitable for those working in low risk environments including teachers and staff working in offices, shops and hotels and other public places. 1 Day (6 Hours) – We are flexible with starting times to meet the needs of your business and you can discuss this at the time of your booking. Where an organisation’s risk assessment identifies that there is a requirement for first aid training in the workplace, then this Award satisfies the requirements of the regulatory body – the Health and Safety Executive (HSE). All learners will have the skills and knowledge to provide the organisation with Emergency First Aider’s that can provide treatment to their casualties in a prompt, safe and effective manner. The course is designed to allow an individual in the workplace to act as the Emergency First Aider. It can be tailored to meet the requirements of your organisation or the individual, however all individuals will gain the knowledge of emergency procedures in order to attain this recognised qualification. Assessment for this course is ongoing by the instructor throughout the course. On completion of the training delegates will receive an accredited certification – Level 3 Award (RQF) Valid for 3 Years. In addition, the HSE strongly recommend that all students undergo an annual refresher programme of three hours. A number of FREE first aid at work manuals will be handed out on this course and if more are required these can be ordered from us. Because this is a fully accredited first aid course you can be assured that you have fulfilled your legal responsibilities for providing quality first aid training to your staff. In addition, the HSE strongly recommend that all students undergo an annual refresher programme of three hours. 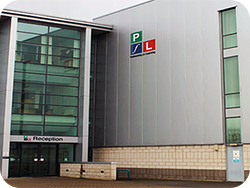 For more information on our Emergency First Aid at Work courses offered by Training Solutions North West and how we can help you find the right training courses for your business please email us or alternatively, call us on 0151 515 0416 and speak with one of our training Consultants. Did you know that we also offer Paediatric First Aid Training which is ideal for Teachers and Nursery staff – recognised by Ofsted and meets the requirements of the EYFS. Designed for individuals who wish to act as an emergency First Aider in their workplace.